Trail Coalition of Snohomish County: Centenial Trail Construction Allert Update and more news about long distance trails. Centenial Trail Construction Allert Update and more news about long distance trails. As noted in our previous blog page announcement, a large section of the Centennial Trail is getting a major repair due to problems with trees roots buckling the pavement. A view of the problem roots that are buckling the pavement. The contractor at work digging out the problem roots. Repairs on the Centennial Trail. At the same time farther north, despite the rainy weather, Sonohomish County Public Works is repairing and decking the historic Railroad Bridge over Boulder River on the Whitehorse Trail. This is the next to the last bridge repair needed as Snohomish County Parks makes rapid progress toward a complete opening of the Whitehorse Trail, possibly less than a year from now. 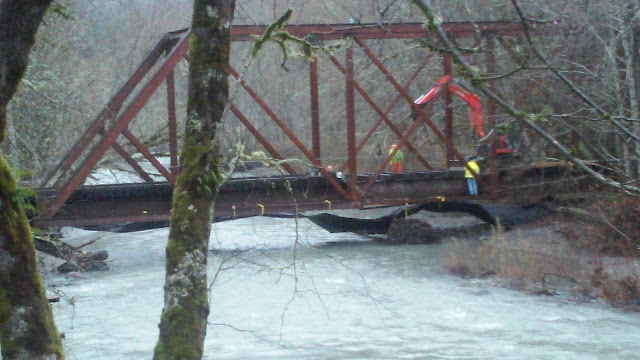 Snohomish County Public Works repairing the bridge over Boulder River on the Whitehorse Trail. 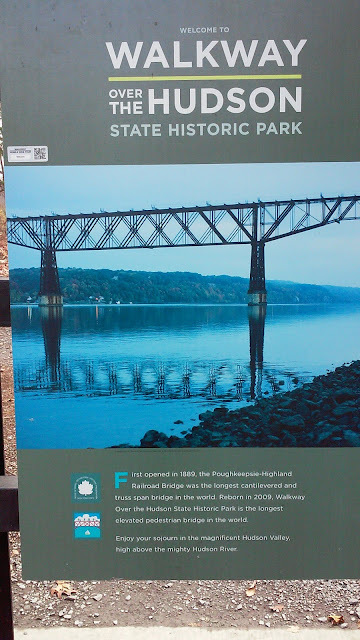 New York State Parks has resurrected this old railroad bridge to become Walkway over The Hudson, which, as the sign says, is the longest pedestrian bridge in the world. 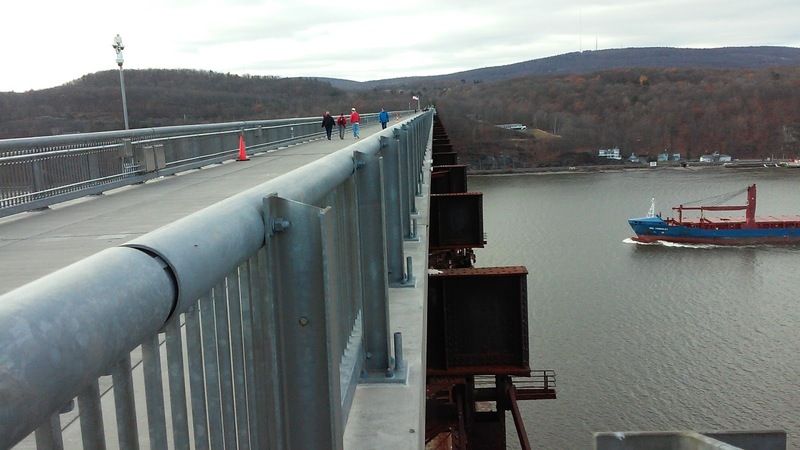 The bridge is one and a quarter miles long and the walking deck is 200 feet above the river.